Here’s the Summary for September 12, 2014 (for previous summary, please see Summary for September 11, 2014). 1. The self-fulfilling prediction as to whether the Russian-terrorist forces will use the ceasefire in Donbas for a maximum build-up of their combat power, is coming to complete fruition. Russian armored vehicles and artillery come as no surprise to anyone. However, we already recorded the presence of the Russian anti-missile air defense systems (in particular, in the vicinity of Donetsk) on the territory controlled by the insurgents, and this is a somewhat different song. 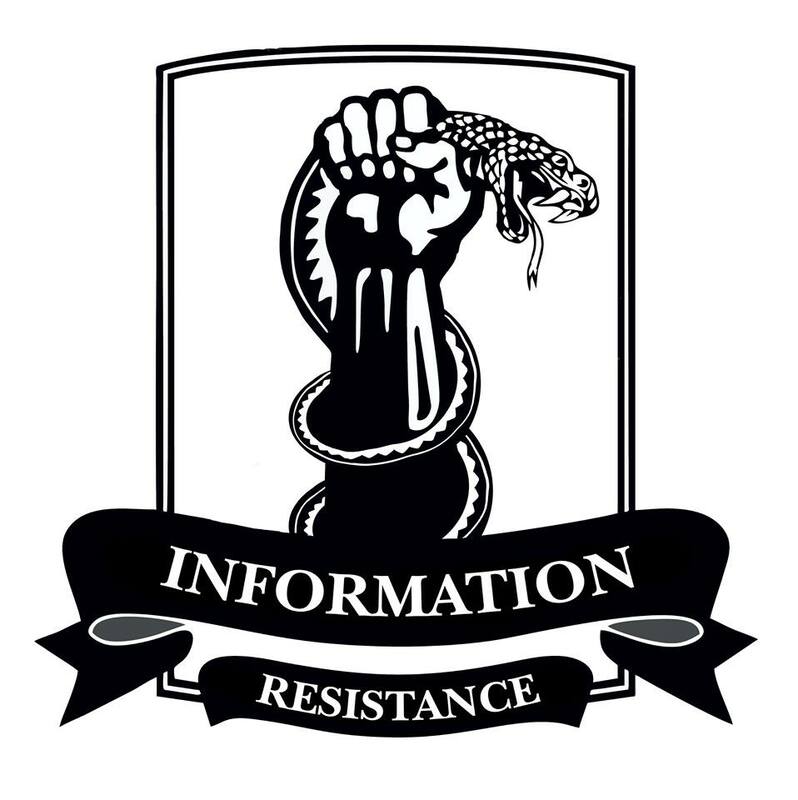 Also in Luhansk and Donetsk regions, as well as in the border areas of Russia, the Russian occupiers are setting up training camps to prepare insurgents in a wide range of military specialties–from tank drivers to reconnaissance saboteurs. All of this means that if Kyiv decides to continue active combat, it will be much more intense than before. However, we observe that the Ukrainian government is firmly determined to settle the conflict peacefully. What happens from it – we will see. Let’s hope for the best. 2. The reasoning behind the current rotation of Russian troops has become apparent. The point is not only in the fact that the occupiers had significantly battered our troops, and that they need fresh blood (or rather, cannon fodder). The point is in the replacement of “unreliable” elements. In particular, the newly arriving units have clearly less servicemen of Slavic appearance. We see two reasons for this. Firstly, fewer “Slavs” amongst the Russian servicemen are burning with a desire to fight against Ukrainians. Secondly, the resonance from the death of soldiers, who stem from the edge of the Russian Empire will be considerably less prominent than from the coffins coming back to St. Petersburg or even Pskov. The conclusion is also clear: Putin has decided to go to the end, waging war, despite any resonance in Russian society that negatively affects him. 3. The Vice-Prime Minister of Ukraine, Volodymyr Groysman, stated the amount of loss from the conflict in eastern Ukraine constitutes 11.888 billion Hryvnias [USD 918 million]. He was talking about destroyed facilities for which currently there is information available (and there are about 11,325 of them–residential buildings, schools and hospitals, energy supply and industrial facilities). It’s impossible to assess the exact amount of the losses. Especially given the provisioning of internally displaced persons from Donetsk and Luhansk regions. I wonder how the little leaders of the DNR and LNR [Donetsk and Luhansk People’s Republics] are going to rebuild the Donbas, slaughtered by them, since they are so vigorously rushing to annex it from Ukraine? Do they count on Putin rebuilding everything for them? But Putin, poor fellow, still cannot digest Crimea–the devil knows what’s going on over there. Plus the huge losses of the Russian economy due to sanctions (the [Russian] Ruble fell to a new record low today). What type of Russian aid are [they] talking about? Moscow’s plan is clear: the more impoverished Donbas is, the easier it is [for them] to govern it for a penny. But the residents of Donbas themselves, who are living in the occupied territories (by the way, just as do the little local insurgents) need to understand what a ghetto the Kremlin has in mind for them. 1. President P. Poroshenko explained today that the so-called “special temporary regime” of the local government operation in Donbas will not threaten the sovereignty and territorial integrity of Ukraine. To be honest with you, I don’t really understand how the terrorists, who clearly stated that they don’t see themselves as part of Ukraine, can support this plan. I would hope that those on Bankova Street [Presidential Administration] know more [about this], since they believe in the reality of this plan. 2. The Advisor to the Minister of Internal Affairs Anton Geraschenko said–Ukraine will not give over the roofer Mustang Wanted (Pavlo Ushevets) to Russia, whom Moscow had placed on the international wanted list. [Editor’s note: roofing is the term for a kind of travel, which consists in walking on the roofs of a city’s skyscrapers]. 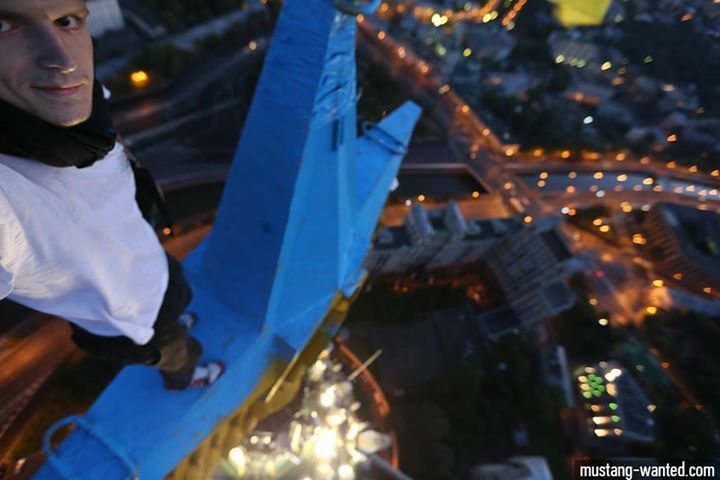 Mustang’s mischieveous and patriotic feat is known to everyone–obviously Putin still sees the star on the Moscow high-rise painted by Mustang in the colors of the Ukrainian flag, and Ukraine’s flag hoisted on top of it, in [his] nightmares. In that most terrible dream, when he suddenly wakes up wearing an oseledets [traditional Cossack hairstyle] and the Ukrainian traditional pants [known as] sharovary. It is not entirely clear here. If Russia is not at war with Ukraine and is a peaceful state overall (as Moscow incessantly argues), then why would the roofer’s act/performance enrage the Kremlin so much that it put him on the international wanted list? Has someone been hurt by the roofer’s act? Was some property destroyed? Or have Ukrainian symbols been officially banned in Russia? This hysterical Kremlin looks funny. In turn, the position of the Ministry of Internal Affairs of Ukraine is absolutely adequate. Mustang is a citizen of Ukraine, and [Ukraine’s] sacred duty is to protect her patriot. So let them have the donut hole, not Mustang. 3. Russian oil companies “Rosneft,” “Transneft,” and “Gazprom Neft” ended up on the list of the new restrictive EU measures against Russia. The United States joined in: five Russian energy companies, including Gazprom, Lukoil, and Rosneft got hit with the sanctions. Uncle Sam’s hand gently rubbed the udders of Putin’s sacred cow. Now, her milk yield will surely fall. By the way, Putin was outraged when he found out that the leader of the DNR, Zaharchenko, also made it to the EU’s sanctions list. Like, why would you do this to a great guy? I understand that Putin hoped Zaharchenko, besides being the “prime minister,” would also moonlight as a transporter and haul Norwegian salmon for him from Europe. That fell through. What a shame. 4. And from the next level of Russian barbarism… The State Duma of the Russian Federation hankered after ecologists to assess the possible damage from the construction of the separation of trenches, walls and other structures on the border between Russia and Ukraine. Like, Ukraine’s plans could cause significant damage to the flora and fauna of the five Russian regions, the wall will be built alongside of. Well, [I have] one word ] for them: monsters. They flooded the Ukrainian land with the blood of Ukrainian boys, destroyed the infrastructure of the whole Ukrainian region with their “Grads,” wiped out hospitals, schools, and entire communities from the face of the earth. And when Ukraine set a goal to fence itself off from this pack of rabid dogs, they began to snuffle about the threat to Russian birches and lindens. They are probably worried that as a result of the “retaliatory sanctions” by Russia on clothing imports from Europe, they will have nothing to weave their lapti [bast shoes] from.